Grace: Words simply cannot describe the whole experience. It was amazing looking at photos on the Internet even before I came to the beautiful country, but seeing it with my own eyes and experiencing it firsthand is a dream come true. I ran out of adjectives to describe the places I’ve visited in New Zealand. Seriously, never have I used the words ‘amazing’, ‘awesome’, ‘wonderful’, ‘beautiful’ as much as I have and I still don’t think I’ve given it justice. Can you describe what an Arrival Pack does? Grace: I would compare it to having your personal butler when staying in hotels. They offer the essentials needed to get you off the ground with your working holiday, like arranging transportation and accommodation upon landing in New Zealand, setting up bank account, IRD and CV – to name a few. But what makes it great for me is having that personalised help who will present you with different options to cater to your specific needs. And they will check on you from time to time to ensure that you are doing Ok and having a good time during your whole stay. 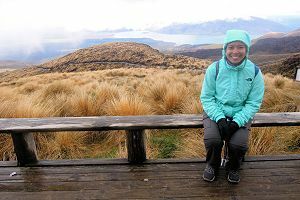 Grace: I admit I like to organise my travels a lot, but since this is my first time away and staying in another country for a long time, which is kind of scary, I believed it is best to get assistance from someone or a group who knows the ins and outs of New Zealand. The website of Working Holiday Starter was so easy to understand plus the member’s testimonial page convinced me that it will be a great investment for my peace of mind. Grace: This is quite funny. There are heaps of great things they did for me like helping me with my CV and having a mock job interview over some coffee, but for me personally, having my advisor scan and send me my mail while I was travelling around was the best because it was how I realised I made a mistake of setting up a regular wire transfer from my bank account back home to my NZ bank account. Whew! Grace: As this experience is amazing, it is hard to choose just one! 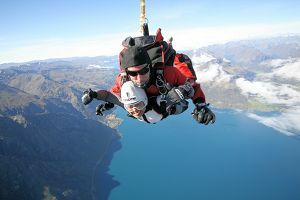 My skydive in Queenstown was awesome but I would say the most memorable one is the Franz Josef Glacier Tour with the people from my bus. The first day we were already all geared up waiting to go when at the last minute, the crew said it will be too cloudy to go with the helicopter. We were all disappointed because the next day, we were going to leave. But the next morning, our bus driver and other mates were kind enough to let us try again before we left. 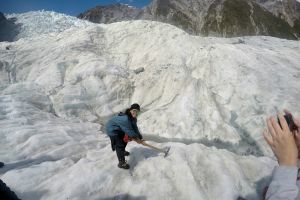 And when the crew said all clear to go with the helicopter to the glacier, I was a very happy kid. It was my first time to ride a helicopter and see a glacier so forgive me. How was it travelling as a solo girl? Grace: It wasn’t as hard as I thought it to be. Thanks to Robin who advised me to go with the hop-on hop-off bus, it gave me a good start as I was able to meet a lot of other travellers who are on the same footing as I am. Travelling solo also allowed me to open up more with others and I met a lot of people from all around the world and not only did we do activities and travel together, we also learned a lot about each other and our lives back home. Grace: I experienced a lot via WWOOFing, working in farms doing loads of different farming tasks – feeding chickens, geese, pigs, shifting cows, even experienced milking cows and picking different types of fruits and eating them in family-owned orchards. Even playing with and taking care of the owner’s kids. I also worked in a vineyard and wine bar alternating between waitressing, helping in the kitchen, and working in the vineyard during the grape-picking season. In Hastings, I worked in an apple pack house. I was part of the team sorting and packing different kinds of apples for export around the world. How was it living in hostel for such a long time? Grace: I experienced both good things, such as meeting great people and having fun cooking and playing games with people I met in the hostels, and bad things, such as snoring and drunk people going back and making noise in the room at 3am. But it helped me learn more about myself. It made me more patient and considerate of others. So it was a great learning experience for me. Grace: My WWOOF membership is definitely money well spent! I was so lucky to be hosted by great people. It was great to experience the Kiwi lifestyle, do farm jobs and learn a lot of skills I never imagined doing back home. 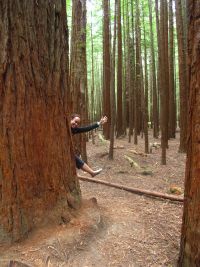 It is a great way to save money while travelling around New Zealand as well. I would even say I enjoyed it more than my paid jobs. Grace: Before you go to the country, read and research about New Zealand so you will have a bit of an idea of the things you can do and can’t and the places you can go. But always keep an open mind! One thing I learned about travelling here is that things do not always go according to plan and sometimes going with the flow is the best thing to do at the moment and things will work out eventually. Grace: Yes, definitely! Because I got to enjoy their help and expertise from start to finish. I would say it’s like having a guardian angel watching over you throughout your trip.